The County Campus Foothill Open Space is a 30-acre closed landfill located at the Santa Barbara County South Coast Recycling and Transfer Station on Calle Real. 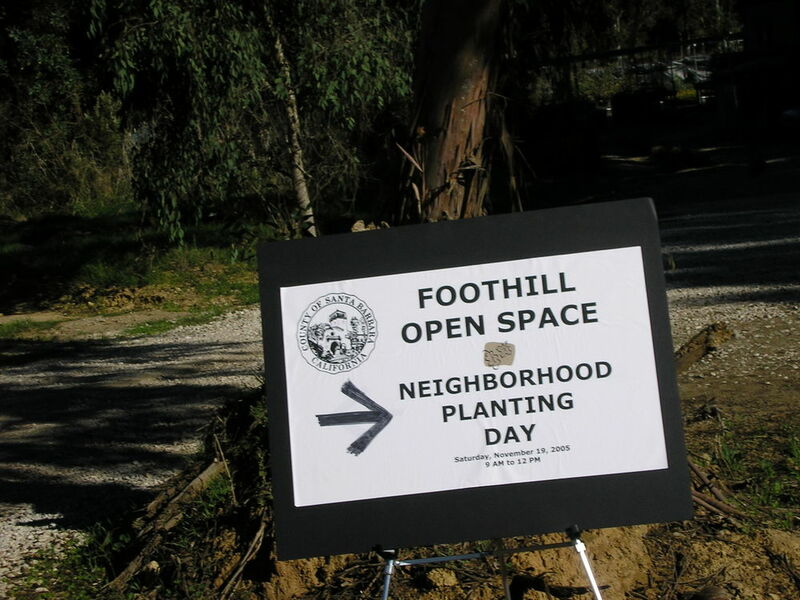 In conjunction with the County of Santa Barbara, Growing Solutions is working to convert the land to a functioning native habitat and community open space. Restoration is being completed in sections as the land becomes eligible and funding is provided.A seven-acre parcel is currently being restored with funding by grants from the California Department of Parks and Recreation and matching funds from the county. The site includes a seasonal creek and multiple sage scrub zones. With the help of many dedicated community volunteers and Santa Barbara City College students, the project will result in the addition of thousands of regionally native plants, the creation of hiking trails and of interpretive signs to educate visitors on local ecology. To date, over 600 volunteer hours have been donated and 6,000 plants have been installed.